I really don't think there's any more famous guitar. A three way tie as far as I'm concerned. These three guitars have an iconic identity all their own. 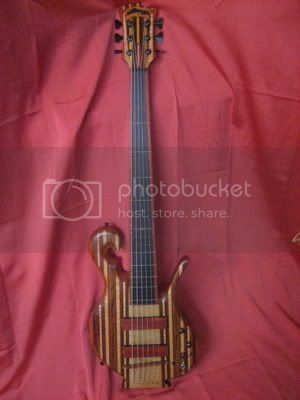 All the other guitars are run of the mill stock made famous by their players. Say is it true that Eddies yellow and black striped guitar is buried with Dimebag Darrell? That guitar wasn't burnt, he just played it so much that the finish was worn off. He traded another Strat for that one in like 1976 at Ray Hening's Heart Of Texas music store in either Dallas or Austin can't remember which. It did not previous belong to Hendrix. If you say Trigger, they'll think you're talking about the Lone Ranger. 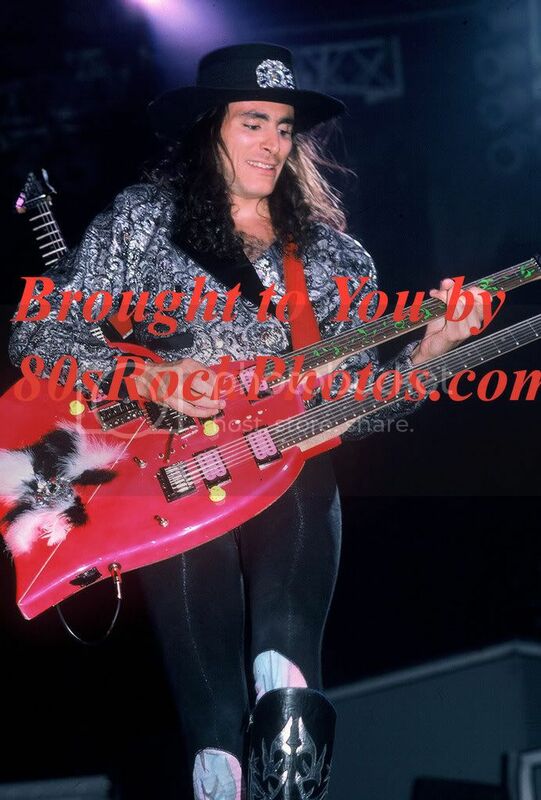 If you talk about Eddie Van Halen's Frankenstein, a lot of people won't know what you're talking about. But I have yet to find a person who when you say "Lucille," they won't say B.B. King. That guitar is that iconic. Never has one guitar been so closely associated with one artist. 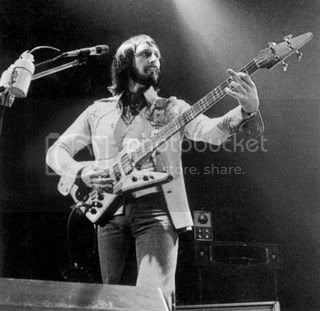 Stevie had other guitars he played in addition to Number One. Jimmy Page had other Les Pauls. B.B. King uses only one. He might had a few different Lucille's throughout his 60 or so year career (think he's had like 17 Lucille's) but that's always been that guitar. It's pretty hard to argue with that. I'm currently in love with Albert King's bluesy tunes. 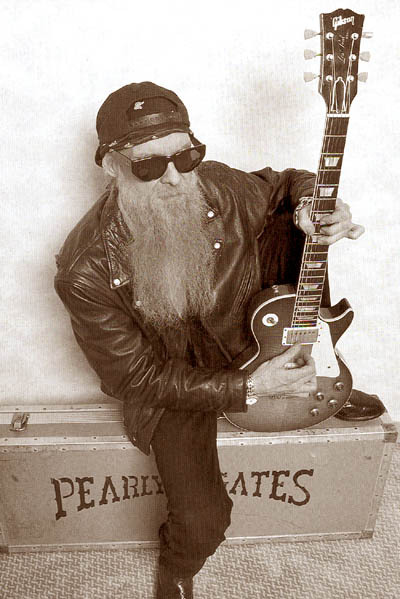 His beloved guitar was a Gibson Flying V, named Lucille. 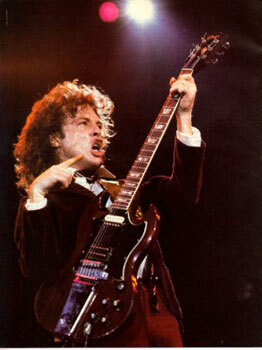 Oh yeah, and of course, Angus Young of AC/DC with his Gibson SG. I hate to split hairs, but it's actually Lucy. It was kind of a nod towards BB's Lucille. He also took BB's last name (he was originally named Albert Nelson) and while he didn't say that he was BB's half-brother, that was the rumor, and he certainly didn't do anything to stop. Freddie King's last name was also not King, it was Christian. So many people were changing their last name to King that when Buddy Guy went to Chicago, everybody told him he had to change his name to Buddy King. Luckily, he didn't. Thanks for the heads-up, deezer. I couldn't agree more about your comments concerning "Lucille"...the two are nearly interchangeble..I was lucky enoug to see him 2-3 years ago (stl) with Kenny Wayne Sheppard and Joe Bonnamassa...was fairly pissed that Joe (who opened) only got to play, like, three or four songs...that's how it goes, I suppose. Whilst there are numerous contenders for the title "Most Famous Guitar Of All Time", one of the oddities must be Eric Clapton's 1964 Cherry Red Gibson ES335. Although used for over 30 years of his career, it became known as the 'Cream" guitar: solely due to its appearance in the farewell concert footage from 1968. 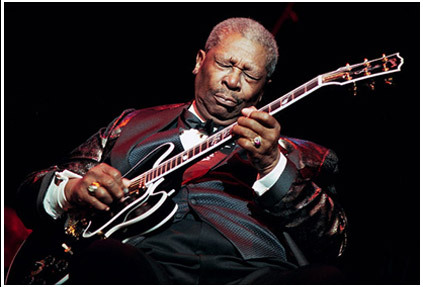 This guitar sold at auction in 2004 for $847,500 to raise funds for the Crossroads Centre. However, there is virtually no evidence that this guitar was used during Cream's existence, only being wheeled-out for the last Royal Albert Hall gigs! In other words, this guitar took on iconic status from only one gig. I hate to split hairs, but it's actually Lucy. Oh yeah, that's right! My bad, sorry. http://www.youtube.com/watch?v=W2mZwHVfBMk. One of my favourites. Yeah, that's really awesome. I really like the disc In Session with Stevie Ray Vaughan. Great playing from two blues greats. 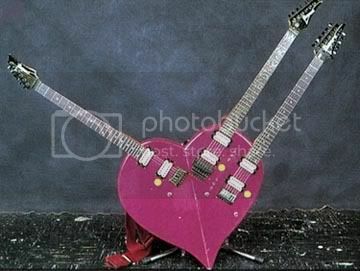 this is what I think of when I think Jimmy Page, not the double neck. I don't think that one counts because nobody likes kiss. 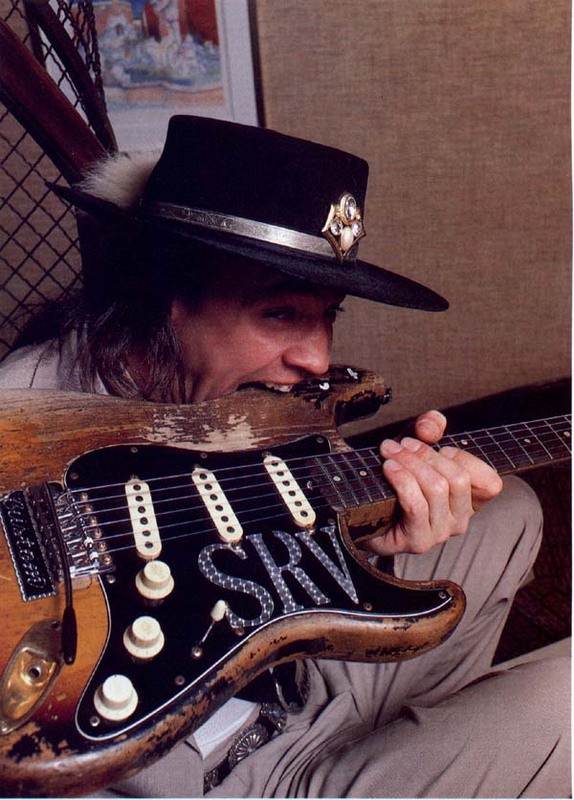 I would substitute SRV's Number One rather than Lenny. Number One was the guitar he loved and played the most.